This week marks a number of firsts for the Superkarts! USA Pro Tour. The inaugural Save Mart Supermarkets Modesto Grand Prix is set to host this year’s SKUSA SummerNationals over the August 1-3 weekend. A record 242 pre-registered drivers surpasses the record total of entries at the SpringNationals in May, making this year’s SummerNats the largest Pro Tour event in the five year history of the series. This weekend also marks the first street race outside the SuperNationals to be included as part of the Pro Tour. The City of Modesto has billed the event as the ‘Long Beach’ or ‘Monaco’ of karting, and the numbers going into the event are certainly measuring up. eKartingNews.com will once again be on site – from Friday to Sunday of the race weekend – providing the ‘EKN Trackside Live’ broadcast. Live play-by-play action, live timing and all the information you need from California for the SummerNationals. Follow updates at the Official Discussion Thread, Facebook, Twitter and Instagram. EKN, the official media partner of Superkarts! USA, is set to provide a three-day preview program leading up to the SKUSA Pro Tour SummerNationals highlighting each of the eight classes. Below begins the series with TaG Junior, S5 Junior, and TaG Cadet. 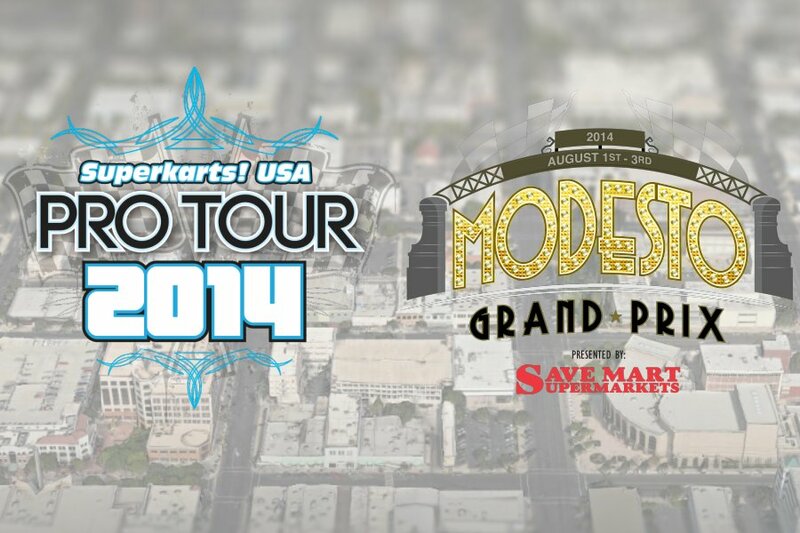 Over 30 competitors will take on the streets of Modesto in the competitive TaG Junior category. Nearly half hail from the northern California area, looking to spoil the party for the Pro Tour regulars competing for the series championship. Leading that chase is double SpringNationals winner Christian Brooks. The Nash Motorsportz/Tony Kart driver worked his way forward both days in Dallas, coming away with big wins against a stacked field. 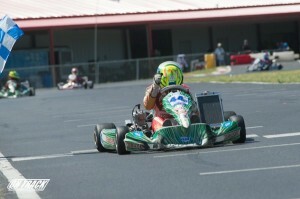 He currently leads by 132 points over Top Kart USA driver David Malukas. The Chicago pilot was among the contenders in Dallas, but missed out on the podium both days. This will be his third straight weekend at the track following the Rotax Grand Nationals in Utah and the USPKS event in Pittsburgh. Third and fourth place drivers in the championship race started their rookie campaigns with a promising future. 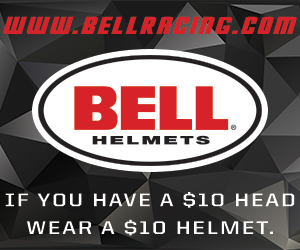 Neil Verhagen (KartSport North America/Arrow) hung around the top five all weekend at the SpringNationals, while Texas driver Nick Brueckner (MRP Motorsport/Birel) stood on the podium Sunday during his first weekend in the TaG Junior category at the Pro Tour. Brazilian Luiz Branquinho (Italian Motors USA/Italkart) drove to a runner-up on Saturday, as all three find themselves looking for some help in Modesto to climb their way closer to Brooks in the championship chase. Other rookies are looking to shine in Modesto as well. 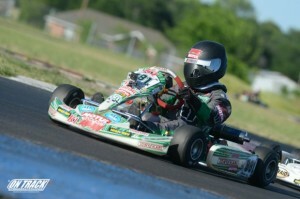 Sting Ray Robb (BBR Karting/Tony Kart) battled back from adversity in Dallas. Robb fought engine issues, a flip and a fire as he was pitted with the CRG West operation for the weekend. He rebounded to a runner-up result on Sunday and should be among the quick drivers on the weekend. With the near majority of drivers from NorCal, the many spectators ready to watch the night racing will be cheering them on. Nearly the entire field from the SpringNationals will be in Modesto, ready to tackle the third and fourth rounds of the Pro Tour. The first weekend was highlighted by a remarkable debut weekend in the category by Trenton Estep. A rising star in the single-speed categories, Estep marked his Pro Tour debut with double feature win on the weekend, including a clean sweep of the action on Sunday. That performance was aboard an Intrepid kart, but the Texas driver just moved over to the Dallas Karting Complex/Sodi Kart USA operation. Estep hopes his debut with the new package is just as good as the first debut in May. Current TaG Junior championship leader Christian Brooks is the lead challenger in the S5 point standings. The only Junior driver currently doing the double, the Nash Motorsportz/Tony Kart pilot bagged two third-place results in his S5 Pro Tour debut. Instead of too much grip that worked the competitors in Dallas, the slick conditions early on may help Brooks’ endurance level as the event goes on. Third through sixth is separated by just 100 points. Mexican driver Raul Guzman (GP Texas USA) is the elder statesman of the category, and was in contention for the win Saturday in Dallas. He came back for a runner-up on Sunday. 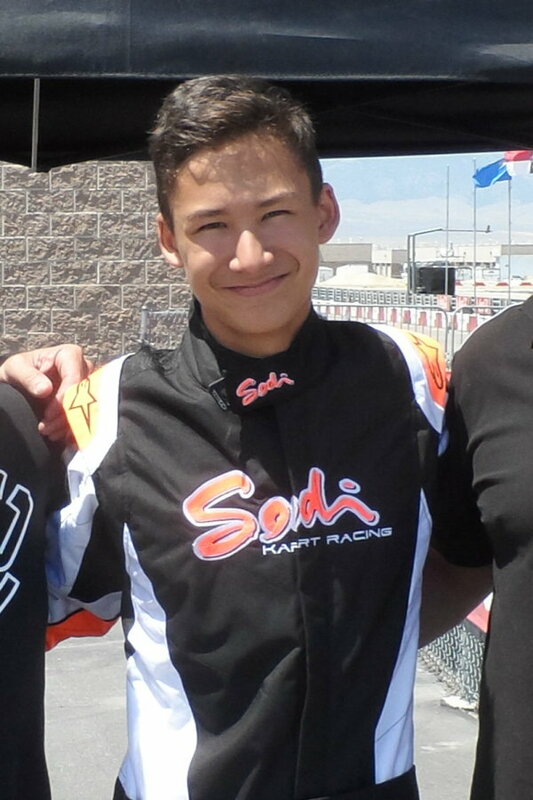 Mathias Ramirez is another new face to the S5 category, as he is the represents Ocala Gran Prix/Tony Kart Junior program in the class. A runner-up Saturday was blemished by a stall at the start of Sunday’s feature. Austin Versteeg is another driver making the move over from single speed to the shiferkarts. The Rolison Performance Group also made his S5 Pro Tour debut, ending up fourth both days. Jacob Loomis (Champion Racing/Intrepid) showed promise in Dallas, and could be a contender in Modesto. Joining the fight at the SummerNationals are two California drivers. Jason Pettit (Aluminos) has been competed at the local and regional level, ready to make a run at a home race on the national scene. SoCal driver Anthony Sawyer (Nash Motorsportz) is also making his S5 debut at the Pro Tour. The racing is always nail-bitting and exciting for the Cadet divisions across the country, and the SpringNationals was no different. Leaving Dallas and coming into Modesto, six drivers are only separated by 150 points and still have a chance of chasing the title with good results this weekend. Miles Farhan (Tony Kart) came away with the Round Two win, and the most consistency throughout the weekend to hold the championship standings lead. Two podium finishes have him as the driver to beat. The d’Orlando duo however are right there, with Nicholas back by 10 points and Michael out of first by 13 markers. The Koene USA/Tony Kart drivers each stood on the podium with Nicholas third on Sunday and Michael sweeping the on-track sessions on Saturday. Lance Fenderson (Benik) was runner-up in the opening round, and finds himself sitting fourth in the standings. Just 25 points out of first, the New Hampshire pilot will make the long journey to the west coast with hopes of reaching the top of the podium. 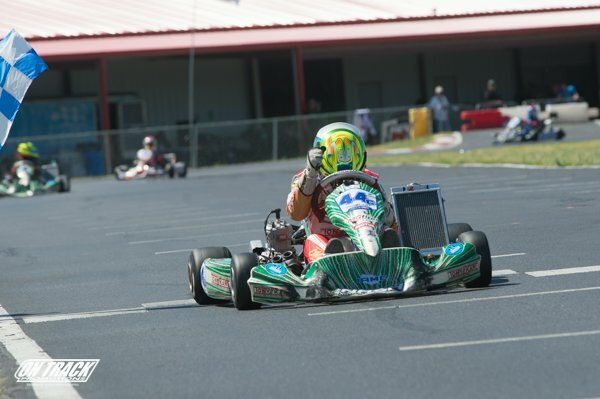 Jagger Jones (Tony Kart) placed runner-up on Sunday after recording a DNF on Saturday. Only 100 points behind Farhan, two good results puts the Arizona driver back on track for a championship run. Lachlan DeFrancesco (Benik) and Riley Dickinson (Tony Kart) both earned a fourth place result over the weekend in Dallas, and will need to earn more consistent results to remain in the fight for a podium spot at the Super Sunday podium ceremonies at the Pro Tour finale. At 40 drivers, there is no telling just who will come out of Modesto as the top driver on either day. Recent US Grand Nationals champion Dylan Tavella (Tony Kart) had one of his toughest weekends in the results column at Dallas, and is ending a long six week journey of racing in Modesto. A number of the other drivers, including those not in the championship chase, could emerge as the fast drivers following practice on Friday and shine under the lights each night at the SummerNationals.